A big part of being a successful salesperson is the level of client service you offer, which in turn depends on your attention to detail – especially to calendar details. Any salesperson knows there's nothing worse than canceling a meeting at the last minute, or having two clients show up to your office at the same time because of a double booking. 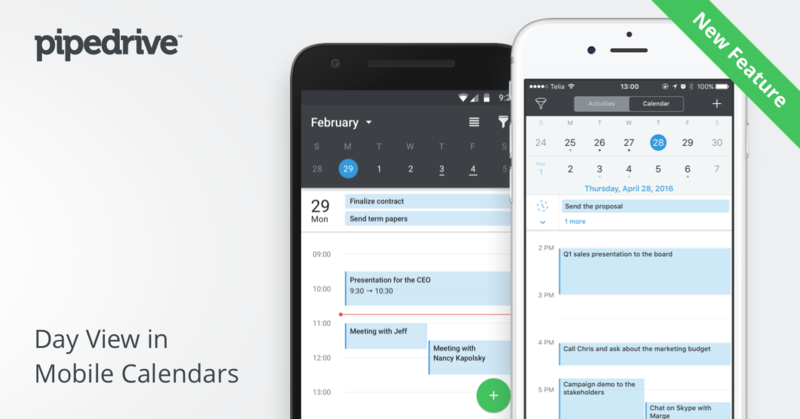 That's why we've made some key changes to our calendar view, in both the iOS and Android versions of our app. How does calendar view work? Our new calendar view makes double bookings and death-by-meeting a thing of the past. When choosing to schedule a new activity, the app brings up a full-day view, giving you clear visual oversight of when you have activities booked, what times are available and how busy your day is. If you're using the iPhone app, flipping your phone sideways will bring up a full week’s view. The app should automatically update to the latest version, unless you have updates disabled, in which case you can go to the appropriate app store and manually update your app.